„A fireball was witnessed in the area, but no records of the direction of movement were recorded. A single stone of 3,165 g was found by A. Salem El Moichine, a local resident, on the same day at 13:00 hrs local time. 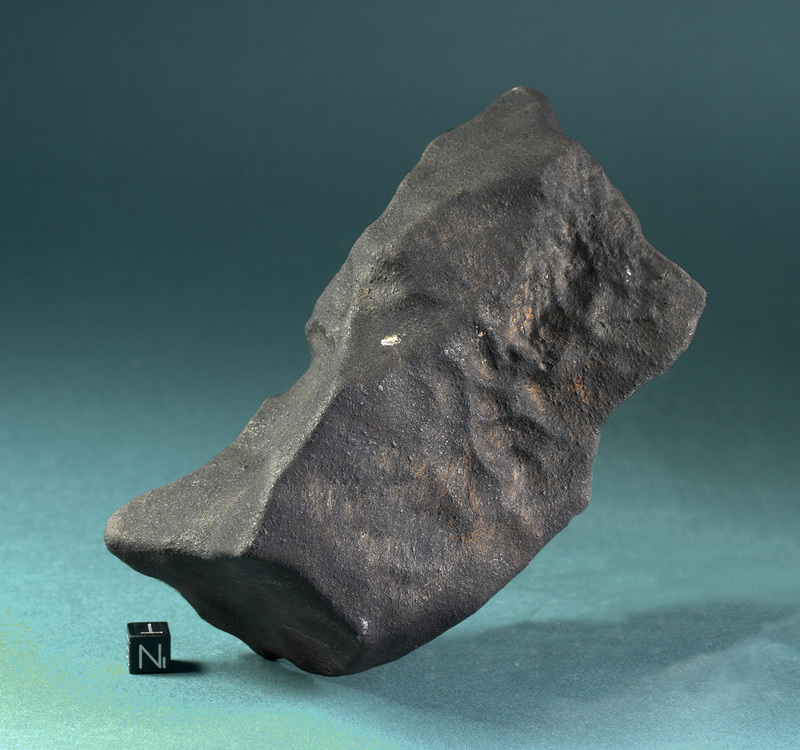 The sample for classification was provided to NMBE by M. Ould Mounir, Nouakchott, who obtained it from his cousin who recovered the meteorite. 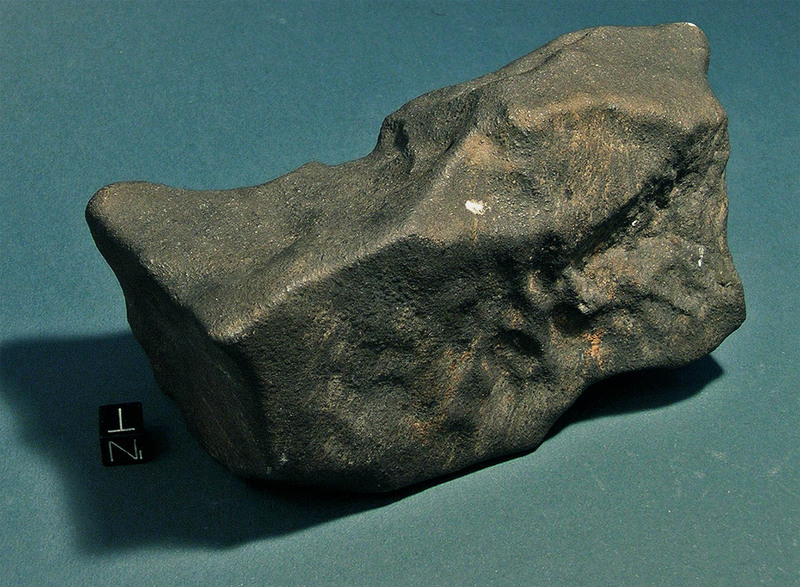 According to S. Buhl (Hamburg, Germany), more than 20 specimens were later recovered by locals and meteorite finders. These finds define a 8 km long strewnfield. The total recovered mass is 46.00 kg“ (Meteoritical Bulletin, no. 92), although additional specimens were found subsequently, bringing the TKW to at least 93 kg. This is a pristine brick-shaped individual with 100 percent fusion crust, distinct flowlines and impact marks.